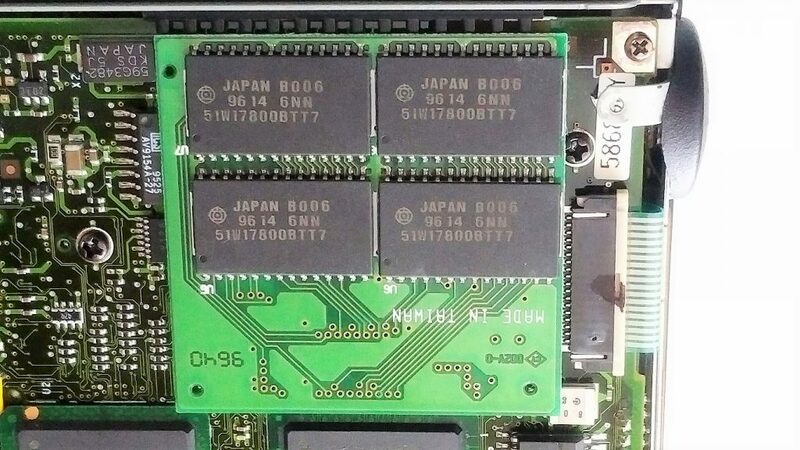 Below are pictures of the front and back of the IBM PC 110 Memory module that I have in my PC 110. Unfortunately, I can’t boot it properly, at the moment so I can’t check if it’s a 16MB module. 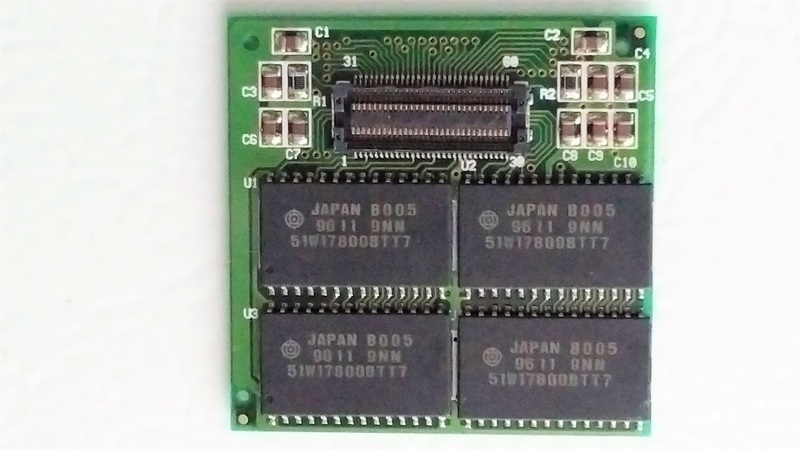 The memory chips are marked “Hitachi 51W17800BTT7”.